For more than 50 years Enerpac products has delivered reliable solutions for nearly every industrial application. Enerpac offers hundreds of different configurations of mechanical, hydraulic cylinders and lifting systems. Enerpac Bolting Solutions for joint assembly, controlled tightening and joint separation using mechanical and hydraulic torque multipliers and wrenches. Lock Nut, Single-Acting, Gravity-Return Cylinders Our high tonnage hydraulic cylinders are designed to provide superior durability and side-load protection. 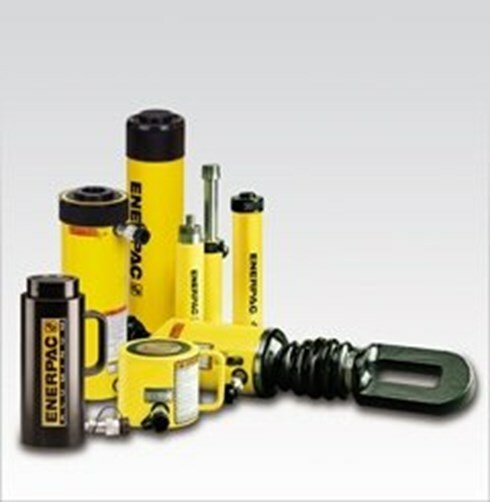 Enerpac provides the largest selection of cylinders and lifting systems. The PGT-Series Double Deck and Single-Stage Bolt Tensioners have a broad range and provide high performance in tight spaces typically found in wind and gas turbines. The FTR-Series Foundation Bolt Tensioners are designed specifically for tensioning wind tower foundations bolts. These bolt tensioners provide the speed and precision required by this critical application. The FTE-Series Elliptical Foundation Bolt Tensioners provide an ideal fastening solution on wind tower foundation applications where limited space between the stud and wall prevent the use of standard tools. Click here to view all of our new products. Enerpac is pleased to announce the introduction of a new generation of controlled bolting tools: The X-Edition S-Series Square Drive, and W-Series Low Profile hydraulic torque wrenches. The X-Edition tools incorporate all the simplicity, reliability and quality of the trusted S and W-Series tools, with some exciting new features designed to help increase operator safety, performance and ease of use. Although the X-Edition torque wrenches feature many innovations, X-Edition cassettes and drive units are compatible with Standard Edition drive units and cassettes. Some parts are unique to the new X-Edition tools. Customers should refer to the Enerpac technical brochure or web site to access the appropriate model numbers for the new X-Edition tools and related accessories. Enerpac will continue to provide service parts for existing tools. 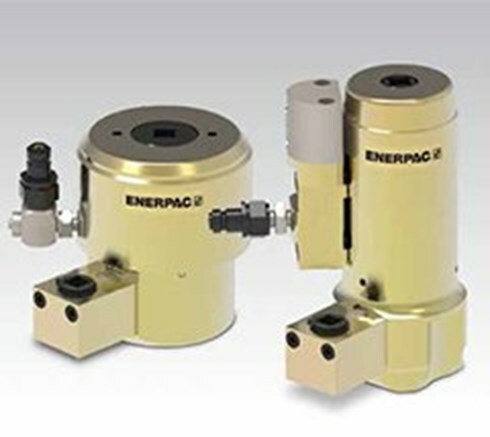 Enerpac are the leading manufacturer of high pressure hydraulic equipment. The range includes Cylinders ranging from 1 Ton to 1000 Ton from stock, Enerpac Pumps from Manual Hand Pumps to Pneumatically and Electrically Driven Units, Enerpac Torque Wrenches and Tools from 3/4" Square Drive up to 2-1/2" Square Drive giving a maximum torque of 34,000 Nm. The Enerpac Presses range from 5 Ton Arbor and C-Clamp up to 200 Ton Roll Frame Presses, All Enerpac Jacks and Cylinders including the Lifting Systems and accessories can be tested and issued with certificates. 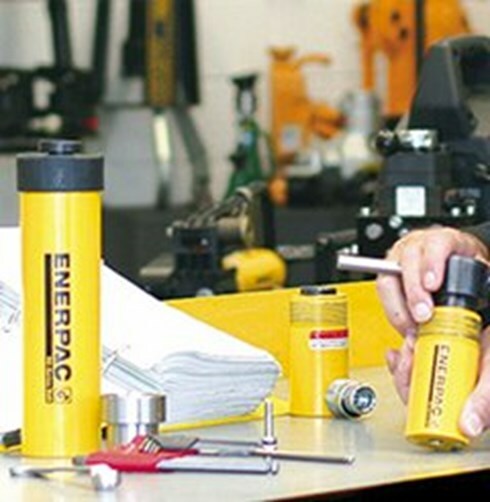 As Enerpac UK distributors Shaw Hydraulics Ltd are able to provide effective solutions for most industrial applications. Please click here to find Repair Parts Sheets and Operating Instructions for all our products. Enerpac have appointed Shaw Hydraulics Limited as UK distributors for the Supply, Hire and Repair of equipment including Cylinders, Pumps and hydraulic Industrial Tools. 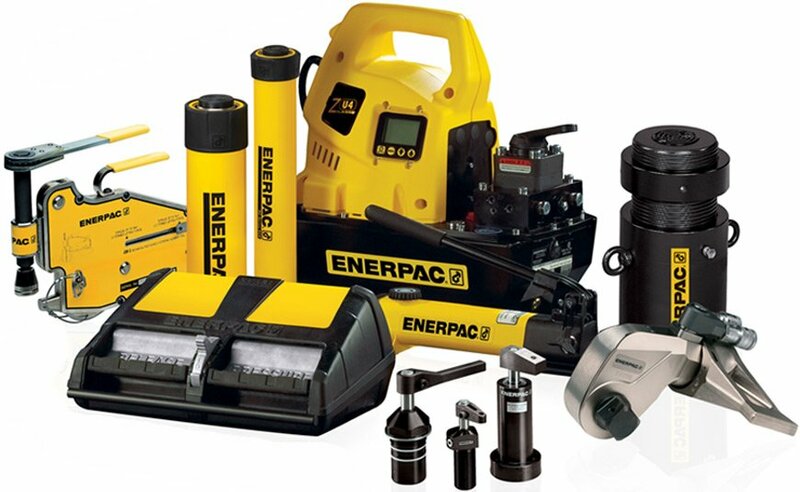 As Enerpac distributors we are able to offer world leading high pressure hydraulic equipment which includes: Cylinders, Hand Pumps, Presses, Valves, Jacks, System Components, Pullers, Bolting Torque Tools and Maintenance Tools.